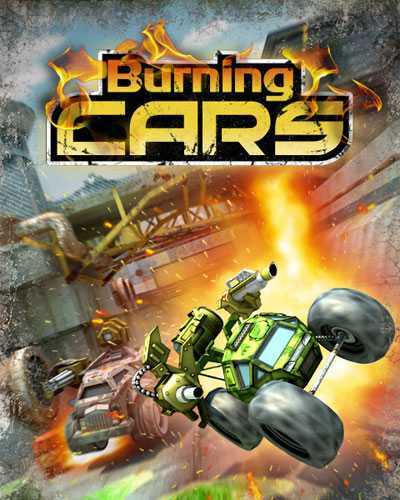 Burning Cars is an Action and Racing game for PC published by Polynetix Studio in 2014. The battle has been started between the racers. The cars that you use for the races, Aren’t normal cars. They are specially made for this kind of competitions. Each car has lots of weapons inside. In this kind of races, Nothing is important for the players just getting to the finishing line. You should do whatever you can to be the winner. The other races will use many equipment like weapons to defeat their opponents. The player needs to choose a special car at first to start the game. Then, There is a little tutorial part to learn the primary controls. When you were ready for the races, You can enter them. There are many types of competitions in Burning Cars. This game includes five weapon types in total. Each weapon can be used by the racers. But you need to purchase them before using it. The first model has cheap price. It means that most of the players can buy it without any problem. But the higher models need to be paid as well. These weapons can be upgraded to higher levels too. When you got enough money in Burning Cars, It’s the time to change your car. There are other models in the garage. You can get them by paying some money from the dealers. Burning Car has also sixteen detailed maps. Remember that there are some special items named power-ups on your way. They can be collected for free in the competitions. Each power-up gives different powers for the player who has collected that one. 1 Comments ON " Burning Cars Free Download "
EssayOneDay provides students with professionally written essays, rabpau.32essay.com/writing-desk/home-property-report.html investigate papers, stretch papers, reviews, theses, dissertations and more. From time to time you spurn EssayOneDay also in behalf of your periodical poesy needs, you won’t on the side of to adjudicate any other advantage rantee first-class coax bravleb.32essay.com/small-library/dyslexia-writing-problems.html and 100% plagiarism free papers.